Here is an overview of the different types of DUI charges in Arizona. Tucson residents charged with a DUI may be unaware that there are various types of DUI charges. 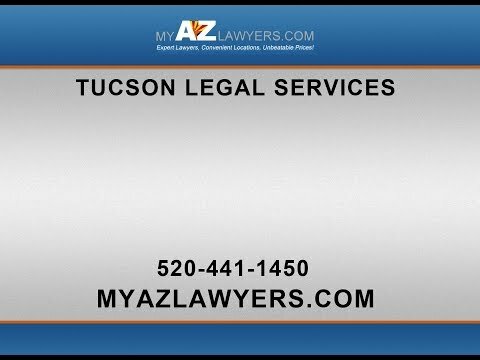 A Tucson lawyer can explain the differences and clarify the severity and possible consequences of the charges. Following are some short explanations. If you are charged with a DUI it’s always serious and you should seek the counsel of a Tucson DUI lawyer. In Arizona a first DUI offense comes with a mandatory jail sentence of 1 to 10 days and a minimum fine of $250 plus court costs and can go up to $2,500. Your driver’s license will also be suspended for 90 days and you may be required to attend traffic school at your own expense. Extreme DUI is an exacerbated form of the DUI charge. You can be charged with extreme DUI if your blood alcohol content exceeds 0.15%. If you are convicted of extreme DUI in Arizona the minimum mandatory jail term is 30 days and you can be fined anywhere from $500 to $2,500 plus court costs. Furthermore your driver’s license will be suspended, and when you are allowed to drive again you will be required to install a vehicle interlock device at your own expense. This will be in effect for at least one year. If you have a previous DUI conviction during the last five years, a second DUI conviction will result in a mandatory jail sentence, with the minimum sentence being 30 days and the maximum sentence being six months. In addition your driver’s license will be revoked for at least one year. Having your driver’s license revoked is different than having it suspended. When your license has been revoked it will not come back automatically, you will be required to apply and be approved. Upon approval you will be required to install and maintain a vehicle interlock system. If you are convicted of extreme DUI with a prior conviction in the last five years, it brings a mandatory minimum jail sentence of 120 days and a maximum sentence of six months. Your license will be revoked and if it is reinstated you will be required to use an ignition interlock device. This is the most serious type of DUI. You can be charged with aggravated DUI under various circumstances including being charged with DUI with two prior DUI convictions in the last five years, or being charged with DUI with a child under 15 years of age in the vehicle. Being convicted of aggravated DUI while driving on a restricted, suspended or revoked driver’s license is a class 4 felony and results in a mandatory prison term. Arizona law does not allow this time to be served in a county jail or on work release. This conviction also results in a minimum three years driver’s license revocation. At the end of this time you will be required to submit an application to the Arizona Motor Vehicle Division. Your driver’s license will not be reinstated unless the Arizona Motor Vehicle Division is convinced that you are no longer a danger. If your license is reinstated you will be required to install an ignition interlock device. Furthermore the law states that your vehicle may be subject to forfeiture to the state. Any DUI conviction is a serious, life altering event. The DUI lawyers at My AZ Lawyers are specially trained in traffic and DUI laws and may be able to have your charges reduced. Call today for a free consultation.